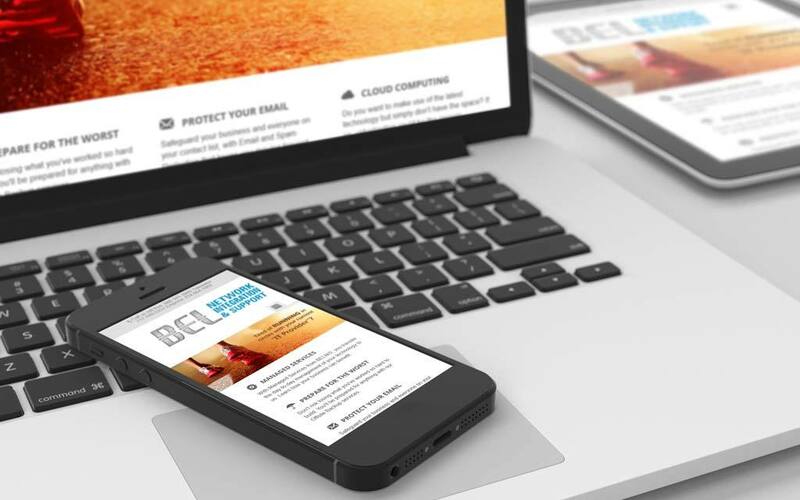 The website that we created for BEL Network Integration and Support has a clean and bright responsive design. This design allows for a lot of information, without looking overcrowded or overwhelming. This design is complimented by a large animated scrolling picture gallery on the front page. This is our favorite part of the design, as it draws the viewers’ eyes in to the middle of the page where we placed the most important information. Beyond this, we optimized the page for the best possible SEO, with relevant keywords, headers, and footers for their business. Search engine optimization on the website, along with our social media management, will make this a highly visible site on all search engines.